We also taught probably my favorite lesson my whole mission this week. 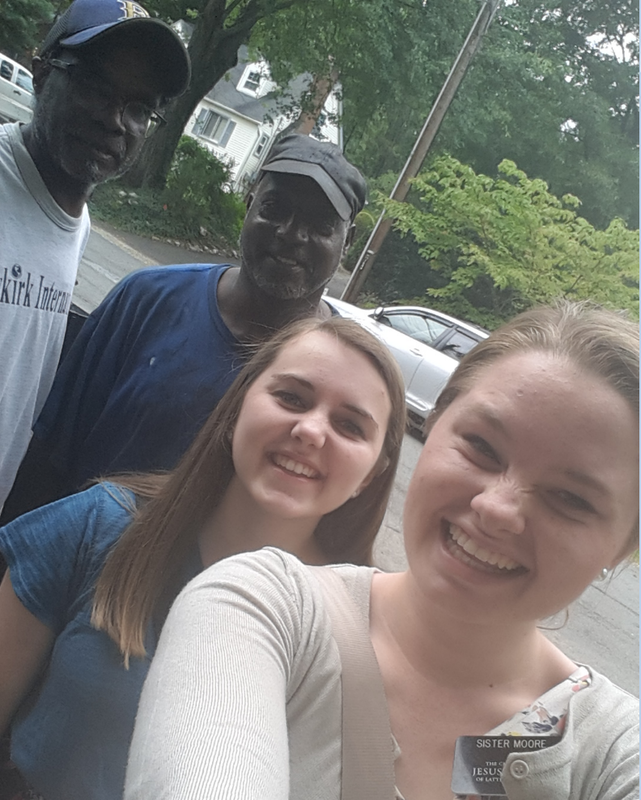 We were driving along and saw these 3 guys outside fixing a car and decided to go talk to them. Well as we approached it felt like we were going back in time- Ray Charles was being blasted on an old radio, and it was these older guys talking and working on a car. When we came up they were happy to talk to us, and said the missionaries have come by all the time, and said that their names were Ed, Les, and Johnny. Even with the loud music we were able to teach the full restoration, first vision and everything, and after Les said “wow, that was powerful!” We even got him to take a Book of Mormon and commit to go read a chapter, even though at first he refused, telling us that he was a Baptist and wouldn’t read it. It was definitely different than any lesson I’ve ever taught, but the whole experience was so funny. You do not get that kind of thing often in DC! ← Who are our Other Sheep?